Näsumaviksleden Trail is a 3.9 kilometer moderately trafficked loop trail located near Axeltorp, Skåne, Sweden that features beautiful wild flowers and is rated as moderate. The trail is primarily used for hiking, walking, nature trips, and birding and is best used from April until October. On a warm summer's day, through its dense and moist vegetation and with the knowledge of the climate the dinosaurs lived in 80 million years ago, this hiking track will give you a feeling that you are in the tropics. Näsumaviksleden is an approximately 3.5 km long hiking track. 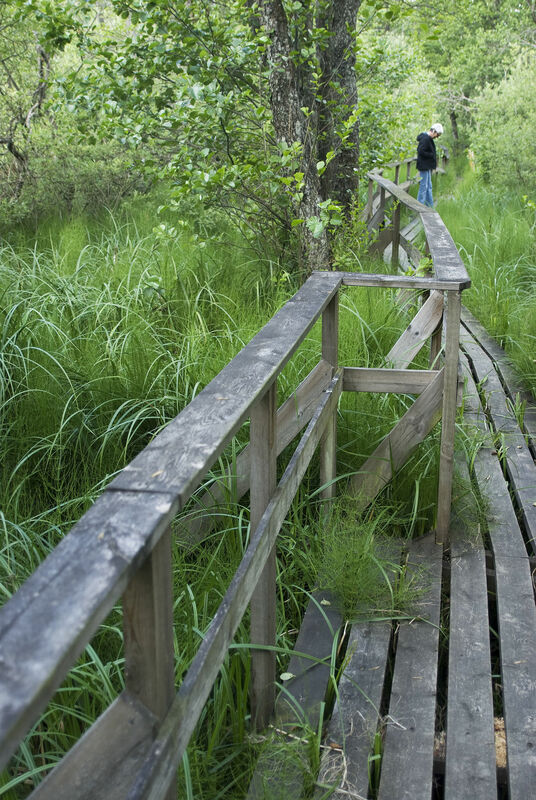 You follow the white markings around Näsumaviken (Näsuma Bay) - which mainly consists of wooden planks which go through the flooded marshy area. Around Näsumaviken, very interesting examples of flora and fauna can be found. 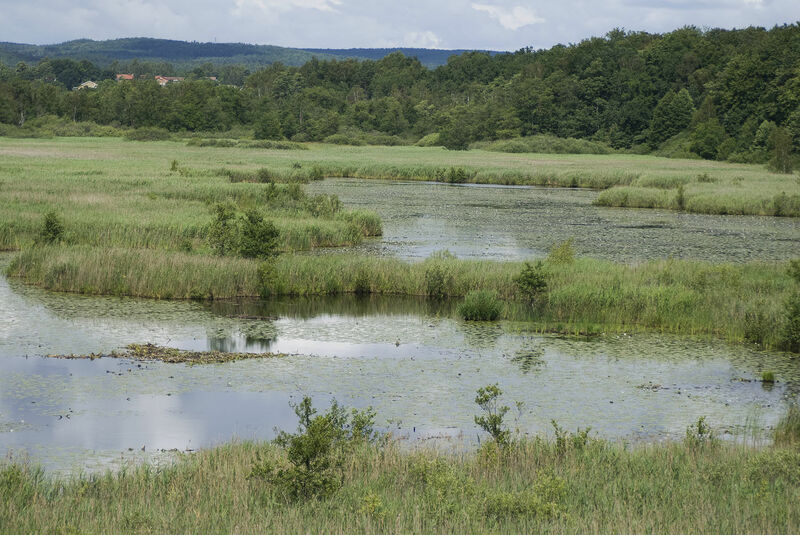 Along the track, there are several resting areas (including wooden decking right in the middle of the marshy area), an observation tower, barbecue areas, bathing areas, and also places to go bird watching. 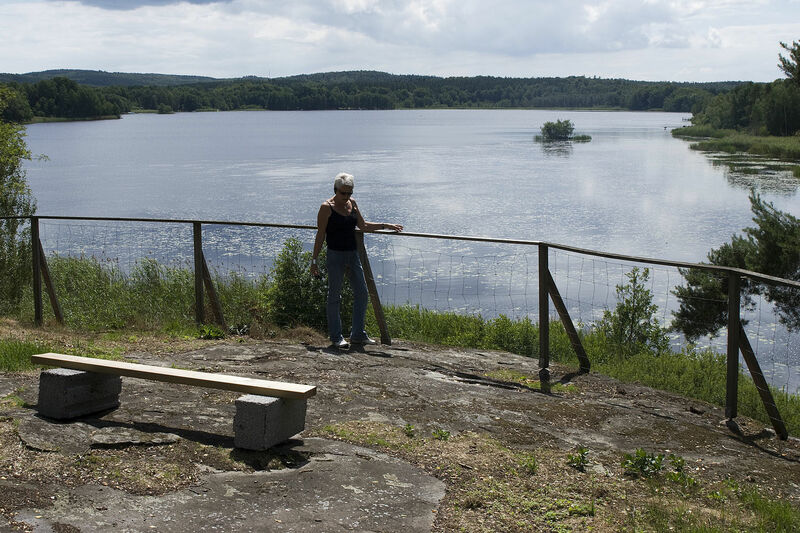 The closest areas for accommodation include Humletorkan’s or Barnakälla youth hostels, both within a few kilometres distance from the hiking track. 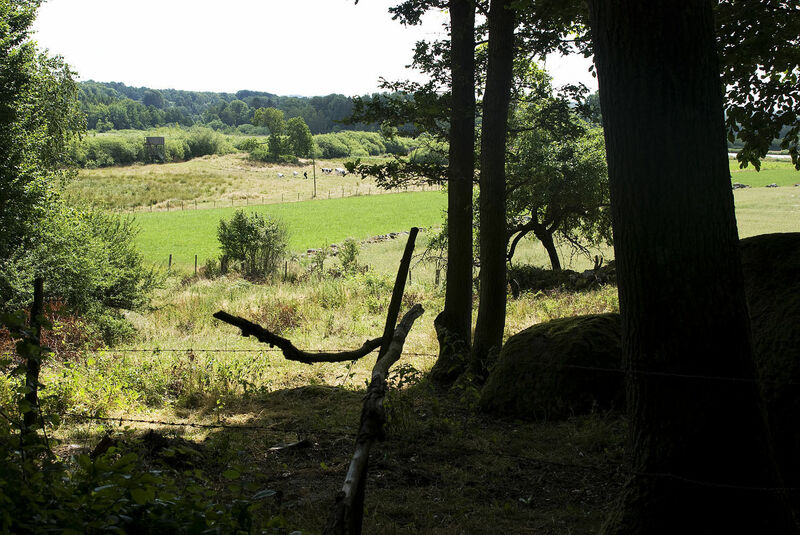 The track lies in an area – Åsen (ridge) – which is very rich in fossil deposits from Municipality of Bromölla’s 80 million year old fossil history. 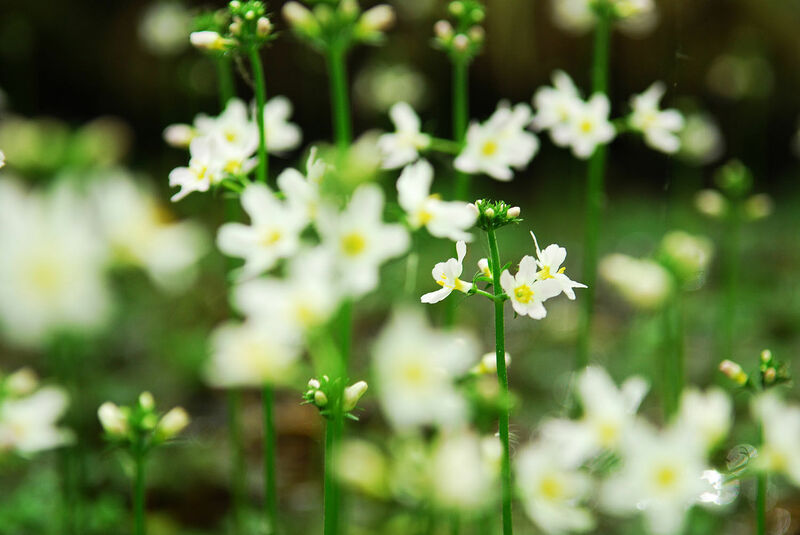 The area also boasts the world's oldest fossilised flower.